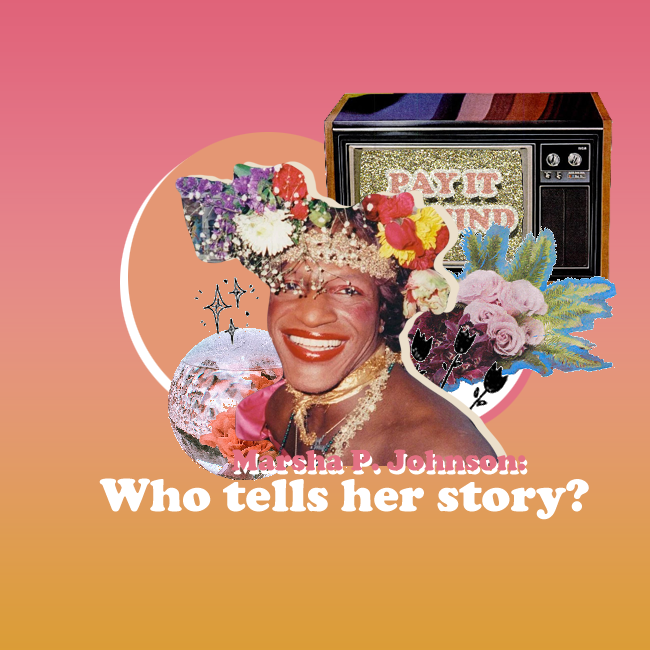 Marsha P. Johnson: Who tells her story? The day The Life and Death of Marsha P. Johnson premiered on Netflix, activist, filmmaker and writer Reina Gossett took to Instagram to accuse David France, the documentary director, on Instagram of stealing her (as well as Sasha​ ​Wortzel’s) work in the documentary. France’s documentary follows the life of Marsha P Johnson, an LGBTQ+ rights activist who founded the first trans activist group along with Sylvia Rivera (called the Street Transvestite Action Revolutionaries or STAR) and is one of the faces of the Stonewall riots. The film addresses her life's work as well as the investigation surrounding her death, questioning whether or not she committed suicide. In her Instagram post, Gossett makes several claims: that France had seen her and Wortzel’s application video for a grant to Kalamazoo/Arcus Foundation Social Justice Center, a grant that would help them to create a documentary about Marsha, and was inspired to make a documentary on his terms, used Gossett’s research about STAR to get a grant from Sundance/Arcus, took down a video she had published on Vimeo of a Sylvia Rivera speech, and hired Kimberly Reed, Gossett’s and Wortzel’s advisor for their film, as his producer. On October 16th, 2017, Reina Gossett and Sasha Wortzel published an official statement on the issue, elaborating on the points that had been made. Jaime Grant, the executive director of Arcus, claimed that France had spoken to Grant about their filming ​and said: “the​ ​'right person​ ​should​ ​make​ ​it'​ ​- ​meaning​ ​him”. In a Jezebel interview, France refutes their accusations by providing documentation to Jezebel - an email exchange with a collaborator of the film and a Word document, dated to 2009 and 2011 respectively - proving that he had the film in mind at least five years prior to his visit to Arcus. He also claimed to have wanted to make a documentary after learning about Marsha’s death, yet didn’t have the information necessary in order to do so. France goes on to say that he proposed to meet with Gossett and Wortzel about their two projects because they were “both in the business of the legacy of Marsha and Sylvia.” Wortzel and Gossett recount it differently, as they stated “it​ ​would​ ​be​ ​great​ ​if​ ​[he] ​would​ ​consider​ ​supporting​ ​[them] ​rather​ ​than​ ​making​ ​his​ ​own documentary​ ​film​ ​on​ ​the​ ​same​ ​topic”, but a collaboration never saw development. Footage is also key to the dispute between France and Gossett. France denied taking down Gossett’s video, as it was the Lesbians Organized for Video Experience (L.O.V.E.) Collective who did due to licensing rights, which Gossett must have been aware of as she tweeted “i stole it and uploaded it in 2012 as a form of direct action against assimilation and historical erasure of trans life”. Kamran Shahraray, who was the archival coordinator for France’s film for a short period of time, provided proof within their statement, supporting Gossett’s claims that her material had been accessed during the process of this film, and even expressed wanting to be removed from the film’s credits until “full accountability is taken and reparations are made.” They also mentioned that France had stolen footage from ​College​ ​of​ ​Staten​ ​Island and ​CUNY​ ​professor​ ​and​ ​trans​ ​filmmaker​​ Tara Mateik​ in the final cut of his film, which France lied about having permission to use. Franc, later on, told Mother Jones that Gossett’s archival footage had been referenced and studied for the film, but didn’t end up being useful to the documentary end product. Writer, TV show host and trans rights activist Janet Mock felt it was highly unlikely that Gossett, “​the preeminent​ ​and​ ​foremost​ ​scholar​ ​on​ ​Marsha​ ​P.​ ​Johnson”, hadn’t been of some use to his documentary. While essentially ignoring journalism ethics or proper etiquette, France recorded conversations without consent and didn’t provide Lopez accommodation during their shoot (as they had traveled far to get there) and had staff sharing hard drugs with them on their first day of shooting. If this is true, it would mean that Lopez was being exploited for the creation of The Life and Death of Marsha P. Johnson and according to Shahraray, she wouldn’t be the first. In their statement, Shahraray made clear that other trans people other than Gossett and Lopez had been exploited in the film’s process, but haven’t come forward as to protect their identities. However, Lopez doesn’t agree with Gossett either. In her statement, Lopez made it clear that she doesn’t understand Gossett’s entitlement to tell the story of Marsha, as she has no ties to her or Sylvia. She also claims that due to Gossett’s tie to the Sylvia Rivera Law Project, Gossett sees STARR as a competitor and has thus suppressed it by ignoring its work. When interviewed for the Jezebel article on the topic, she stated that France is simply “(...) a bigger, more powerful, more hideous, insidious version of [Gossett] and that in light of this situation, she, as well as STARR, would be looking for ways to stop the distribution of the film and get Netflix to drop it from their site. The last claim that stands between the stories of the filmmakers is the genre and content of their films. France’s is an investigative documentary, while Gossett and Wortzel’s Happy Birthday, Marsha! is a fictional short film focusing on Marsh a few hours before the Stonewall riots. In his statement and interviews on the subject, France makes clear that the research and inspiration he allegedly stole were for their fictional film but they tell a different story. After seeing France’s film appear with a similar logline to theirs, they decided to change courses, instead of wasting their time, money and effort on a film that wouldn’t be able to reach the amount of visibility and resources as France’s had. In the Jezebel article, the writer centers around the question of ownership, around who “owns” the story of Marsha P Johnson, but ownership shouldn’t be the point we’re focusing on. 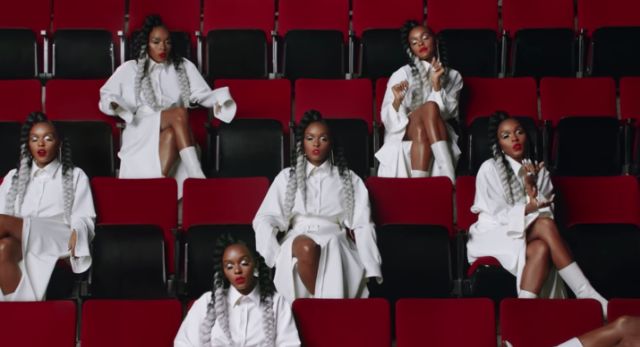 As Gossett, Wortzel, Jaime Grant, and Tara Mateik have all said: it’s time for trans people’s - especially trans women of color - voices be heard, especially after suffering through centuries of violent marginalization and oppression (that often lead to death, even to this day) making it extremely difficult to do so. It’s time for people to take a step back and listen, but to also change the tide. If we’ve learned anything from people like Lena Waithe, the mind behind Master of None’s Thanksgiving episode, experiences and perspectives can never be translated on screen better than by those who’ve lived and breathed them. Although it might not be fiction, France, as a cisgender white gay man, holds his own beliefs, prejudices, and experiences that can’t be separated from his documentary. And on the topic of listening to trans women of color, the most important one from this story is Marsha. At the end of the day, we can’t control who ends up telling her story, we can only support those who do their best to understand who Marsha was, as a black trans woman, as an activist, and as a human being, and let her story speak for itself.